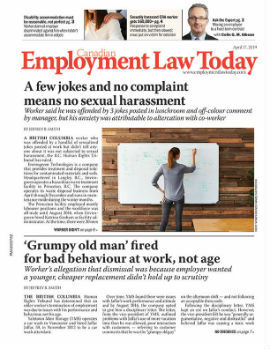 The Alberta Court of Appeal recently considered and clarified the nature of the relationship between employers and the employees they entrust with handling funds. As a result of the decision in 581257 Alberta Ltd. v Aujla, employers may more easily recover assets stolen, converted or misappropriated by dishonest employees using a civil cause of action. The Alberta Court of Appeal found that, in cases of theft, an employee owes fiduciary obligations to its employer. In addition, the Court overturned the lower court’s decision that the plaintiff employer was responsible not only for demonstrating that a fraud or theft had occurred, but also for showing that all of the discovered loss was a result of the employee’s theft or fraudulent acts. The court held that once the employer proves fraud or breach of fiduciary duty, the employer only needs to establish reasonable efforts to determine the amount taken by the thieving employee. At that point, the evidentiary burden shifts to the employee to disprove the amount and the cause of the loss. This shifting burden of proof enforces the policy that an employer should not be precluded from recovery where the employee has covered his tracks and compromised the ability of the employer to prove the quantum of loss. • 581257 Alberta Ltd v. Aujla, 2013 CarswellAlta 72 (Alta. C.A.). Jordan R. M. Deering is a Practice Group Leader for the Litigation group in Dentons Canada’s Calgary office. She can be reached at (403) 268-3110 or jordan.deering@dentons.com. Byron Reynolds is an articling student with Denton's in Calgary.